Unique Leather Mosaic | Exceptional Art from Kazan for Every Day! Would you ever guess that the traditional Tatar outfit and the leather chiteks on this cute doll was designed and stitched by hands of 80 year-old Flyora apa – an extraordinary woman who was so passionate about her hobby that she made everyone around her inspired and energized. 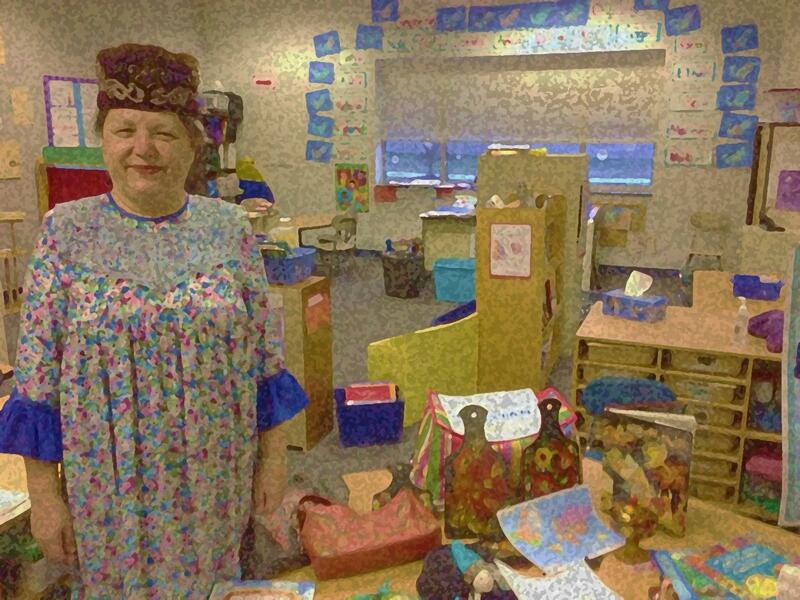 She would salvage unwanted old dolls and would make them irresistible and ethnic by dressing them up in hand-made Tatar costumes and hand-stitched Tatar ornamental footwear. Hard to accept that this wonderful lady is gone. Her kind and powerful spirit will be remembered for long: she inspired people to be young-at-heart, to be excited about ethnic heritage, to love what you do. She served as an impressive role model to follow. You will be deeply missed, Flyora apa! Thank you for keeping Tatar tradition alive! Thank you for your passionate and powerful spirit, for masterful hands! Урының өҗмахта булсын, Флөра апа! When it comes to milestones, there is an interesting tendency of me resorting back to my roots to celebrate them. 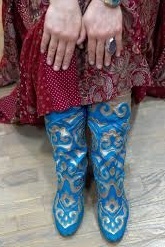 When I wear my Tatar boots made using leather mosaic technique, I feel like home, not just because they are cosy and beautiful, but also because they carry wisdom of my culture and hold the warmth, passion and hard work of at least three artisans who designed, hand-cut, hand-stitched, assembled those works of art for me to enjoy. Every time I wear them I feel joyous, satisfied, and needed like I feel when I accomplish something meaningful for myself and for others. 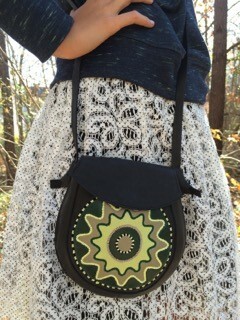 I will be happy to find you exceptional piece of Tatar Leather Mosaic, so you understand how I feel when I wear them. Just let me know . 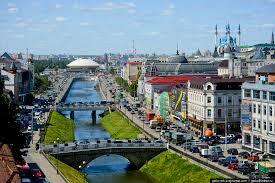 What can be more exciting than to find out from the coworker that my home town is one of 10 top places to travel in the world and she wants to visit Kazan the sooner the better! TripAdvisor (an American website that provides reviews of travel-related content) named Kazan, Russian Federation, as its #8 Traveler’s Choice Destinations on the Rise. in 2015. This award highlights spots around the world that have received the greatest increase in positive feedback and interest from TripAdvisor members over the years. CNN notes that historic Kazan “along the Volga River has stunning architecture to admire, including the Kazan Kremlin, which offers “a mix of Orthodox Christian and Muslim cultures”. Indeed, Kazan city presents fascinating, peaceful and empowering collaboration of various cultures, religions, traditions and mindsets. Among many attractions and works of art that Kazan offers, there is an exceptional, unique and functional one created centuries ago by the Tatars – the Art of Leather Mosaic. These one-of-a-kind chiteks (Tatar boots) are created through a complex process of stitching genuine leather patterns by hands with so-called Kazan stitch and golden twisted threads. 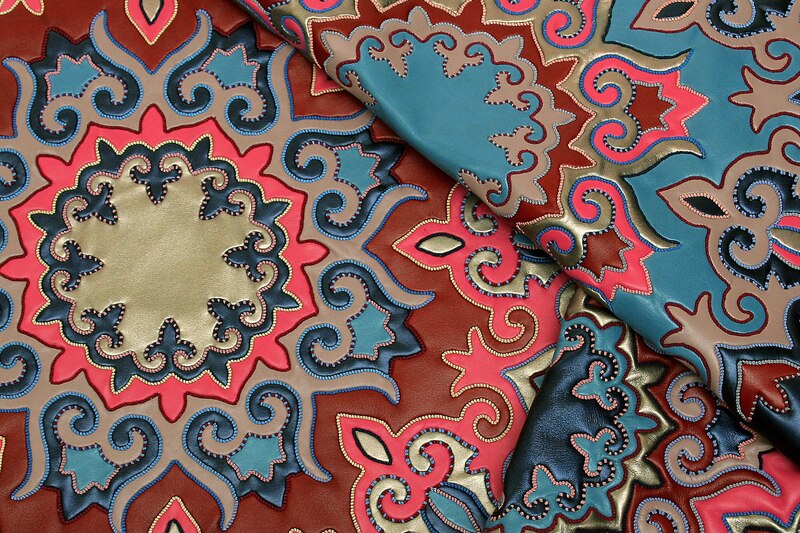 The patterns are build up into sophisticated designs that incorporate motifs of Islamic art traditions. 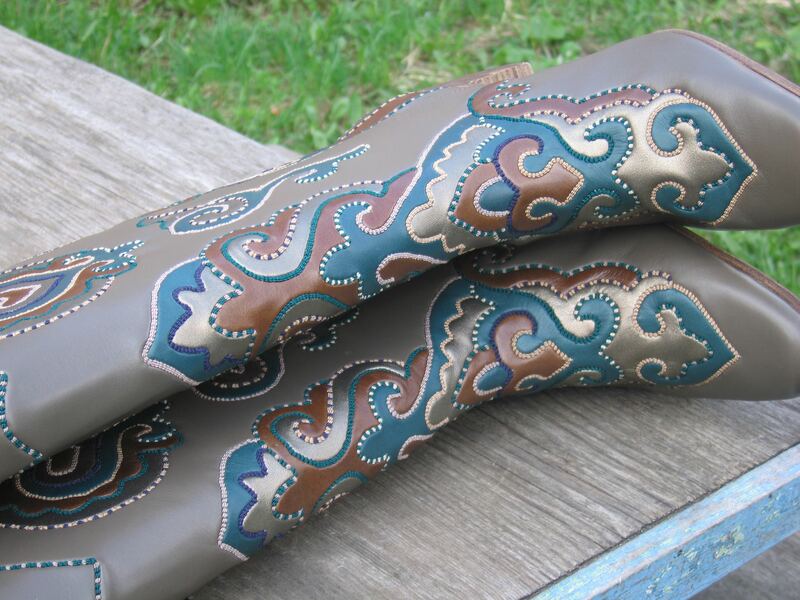 Tatar boots look impressively beautiful and exceptional on one’s legs! Chiteks – cosy, warm and cute! 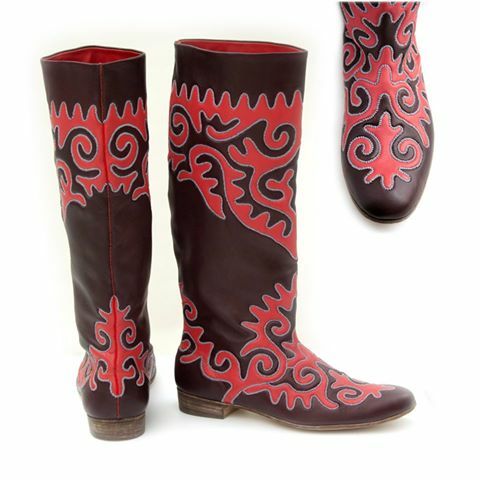 If Kazan is on your 2015 travel list, and if you want to own a pair or two of Tatar boots and to see how chiteks are created, email me at uniqueleathermosaic@gmail.com. 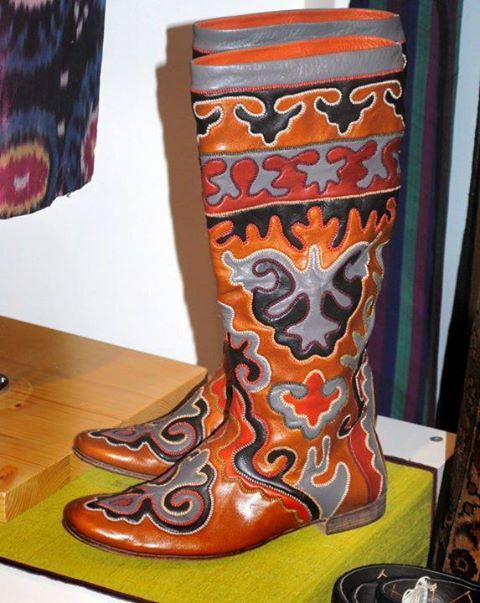 When you google boot, tons of images of different boots come up: fancy, classy, ugly, modern, in all shapes and colors. But the boots that are created using leather mosaic technique do not come up… I am realizing that it is not only because of my poor implementation of SEO tactics but also because the boots that I am talking about on my website belong to different category. 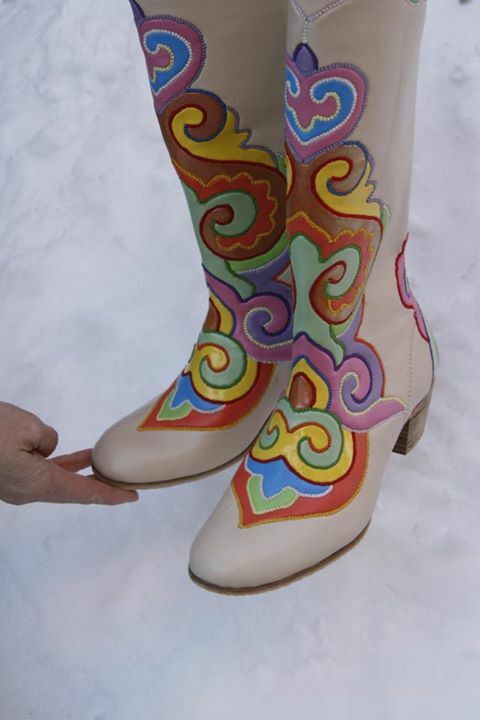 These boots are right between footwear and art. 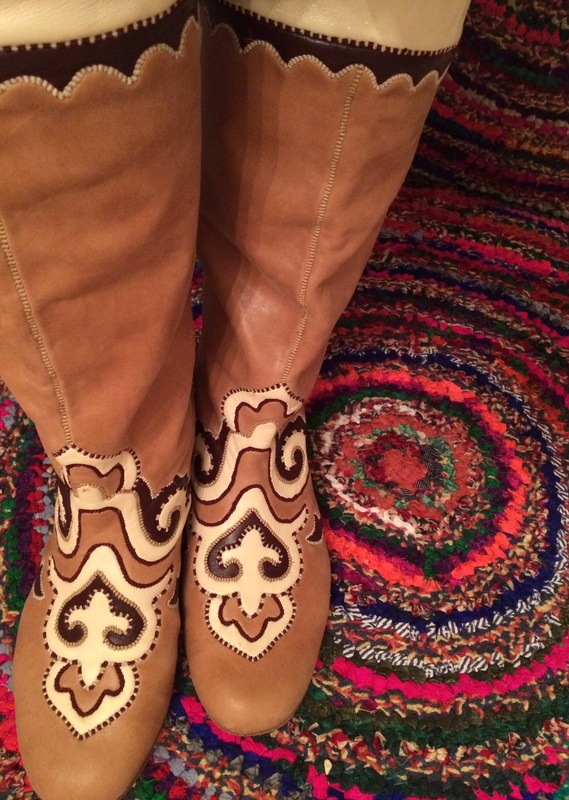 These boots are one-of-a kind and hand-made, always! At the times when it is so confusing and upsetting to watch news and follow politics, I always turn my eyes to the art and… shoes…. 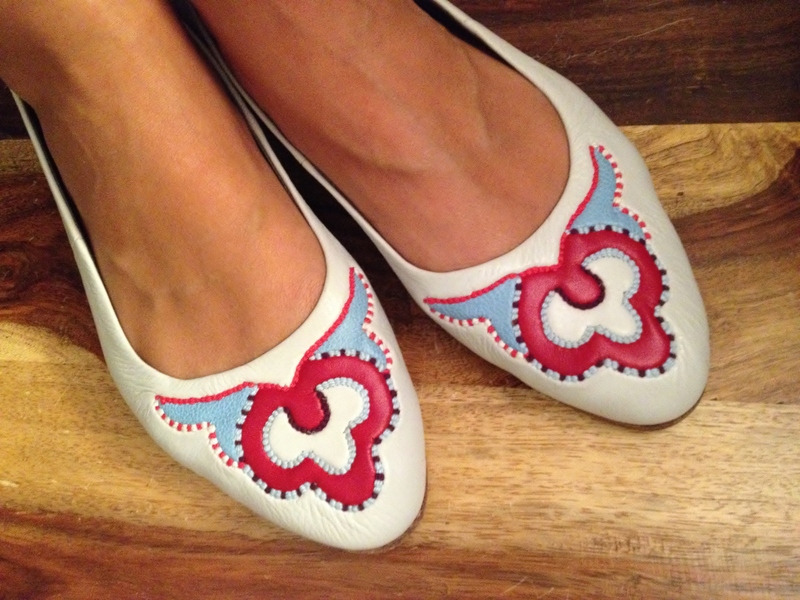 I feel so lucky to own this pair of flats that is so beautiful, comfortable and excepional. And they are piece of art…. unique art. 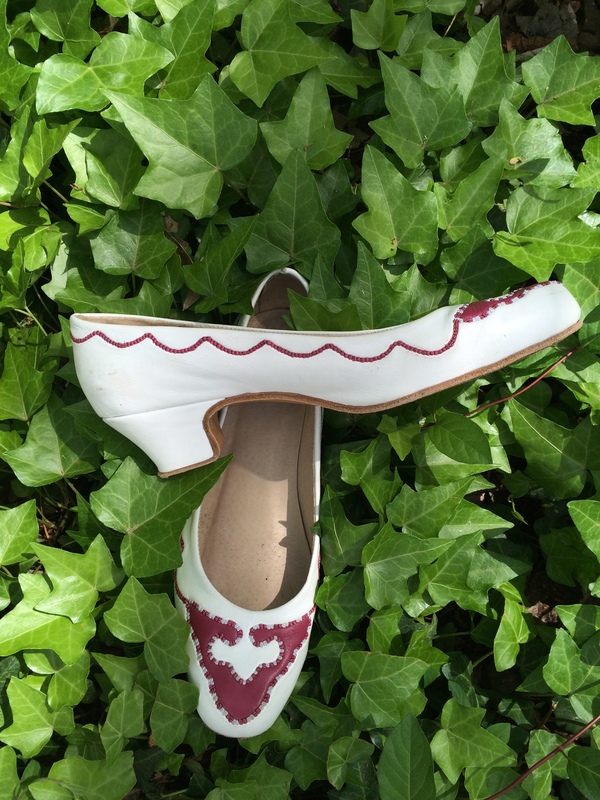 This shoes are hand-made – every bits of them – by craftsmen from Sahtiyan. The three-colored flower ornament is designed using the best traditions of Tatar folk patterns. 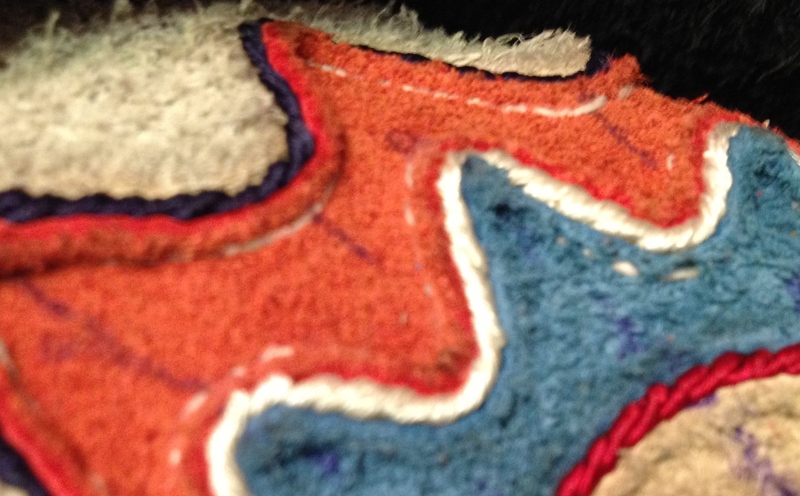 The patterns are cut out and stitched together from inside by hands using silk threads of different colors. if you want to own something like this and I will make sure you have it! 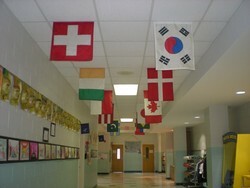 25 cultures in one spot! Do you know that almost every school in the area called Research Triangle Park (RTP) in North Carolina can boast of population of students whose families come from so many different cultures and countries? Local communities here in RTP: kids and adults – are exposed to such an exceptional and unique mixture of languages, cultures, traditions, arts, music and flavors from all around the world. Tonight, my son’s elementary school hosts an International Festival – an exciting celebration of more than 25 cultures and countries! Kids and their parents will have an amazing opportunity to explore the cultures of the world from first hands without leaving US! What a treat! a lot of snow! 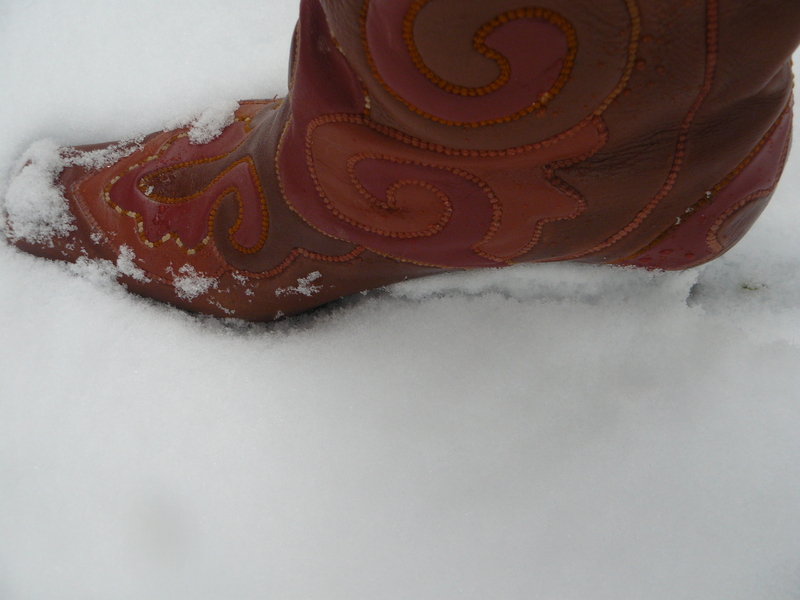 Something unheard of: about 4 inches (2 sm)! 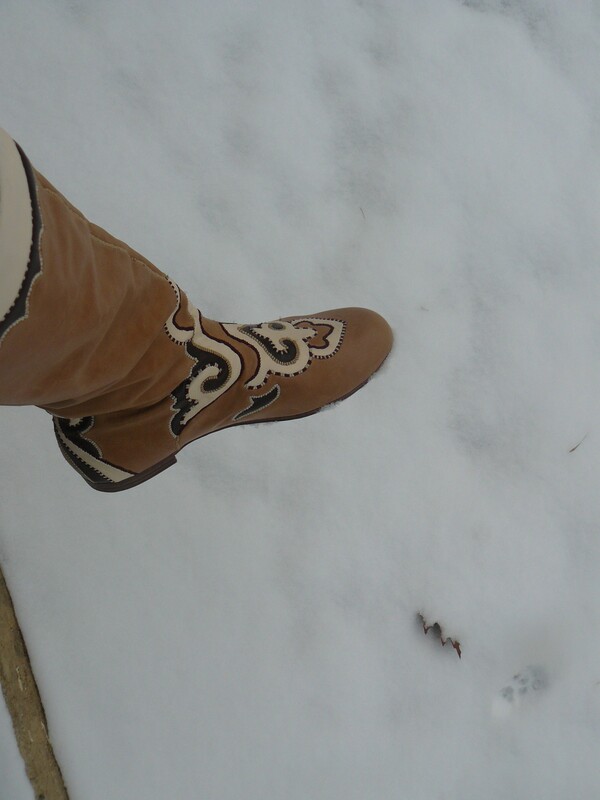 And what can be better for a snow day than a pair of warm and beautiful boots. 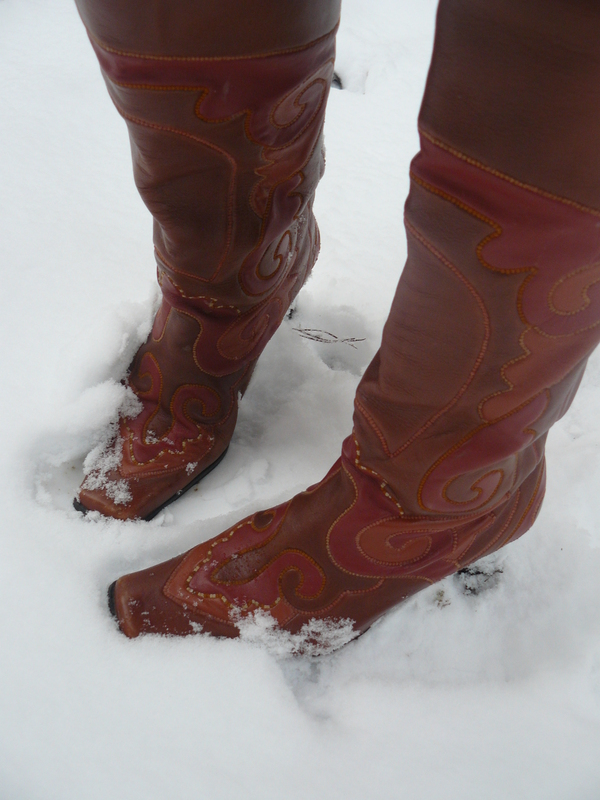 No one is as prepared here for the perfect snow day as I am: I have several of them and they are so comfy and warm and look so good on (or with) the snow! 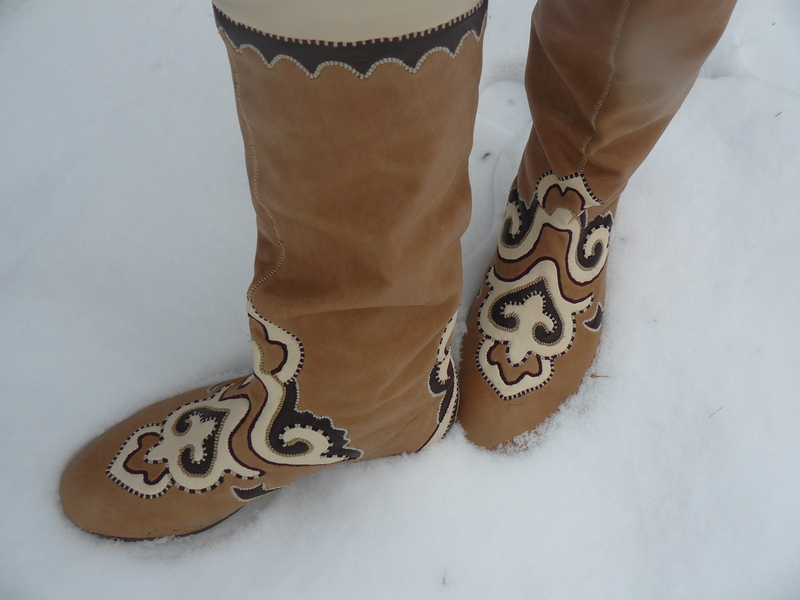 Check them out and let me know if you want a pair for your perfect snow day! Come to get a taste of Tatar Culture and Art as well as to celebrate many other cultures at the International Festival in Raleigh, NC, on October 4 – 6, 2013. This is the first year the Tatar Culture is presented in this annual festive celebration of ethnicities and their vibrant cultures. 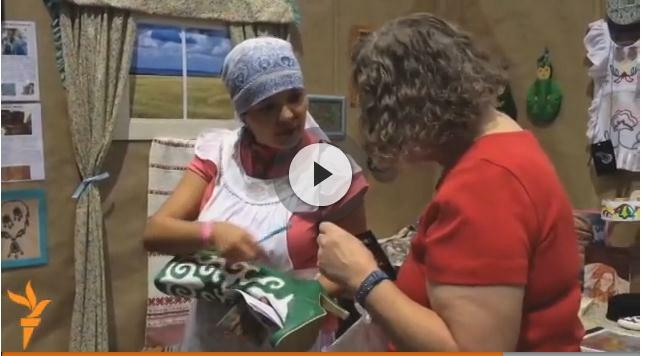 This year’s theme is “Arts, Crafts and Music” – and the Tatars have so much to offer and share. Please stop by to see beautiful exhibits and samples of Tatar leather mosaic, embroidery, weaving, jewelry, decorations, illustrations and more. You will have a chance to realize why technique of leather mosaic is so unique and why Tatar decorative art is so exceptional and beautiful! You will also have a chance to try yourself as a designer of Tatar costume: Boots, hats and aprons are waiting for you to be decorated with Tatar ethnic ornaments and patterns.